Research into heart disease will be boosted to the tune of half a billion pounds between now and the end of the decade, the British Heart Foundation (BHF) has promised. The move comes as new figures suggest a contrast between the impact cardiovascular disease is having on the UK and the amount that's spent researching it. The charity says 2013/14 saw a total of 1.7 million heart attacks, strokes and other cardiovascular events reported in Britain. And while that's 10% more than the total reported 10 years earlier, the BHF says, less than a tenth (9%) of all the money ploughed into medical research is spent on investigating heart disease. The charity adds that just 12p is spent on research for every £10 that heart disease costs the nation's health system. In the UK cardiovascular disease accounts for more than one in four of all deaths and currently affects over seven million people. People are advised to help keep heart disease at bay by keeping down their blood pressure by exercising regularly and eating a healthy diet low in saturated fat. But while having cardiovascular disease can affect people's lifestyle it does not mean they have to give up all the things they enjoy. In fact, taking a relaxing holiday, covered by a medical travel insurance policy, could be just what the doctor ordered. Professor Peter Weissberg, medical director at the BHF, says UK deaths from heart disease have more than halved since the charity was founded in 1961, thanks to the tests and treatments that have been developed through research funded by the charity. 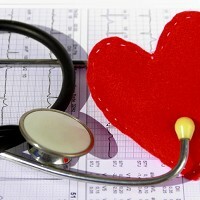 Despite that, he says, more than seven million people in the UK are still living with heart disease. Only further research, he adds, can cut the burden that puts on the nation and the impact it has on people's lives. Professor Weissberg says the charity's new research strategy sets out how more than £500 million will be used between now and 2020 to research new ways of combatting cardiovascular disease. Being able to spend that much money, though, he adds, will depend on the continued support of the British public and Government.